Bus Simulator Training: How to Get It Right! It’s no secret that I am a firm believer in bus simulator training. I enjoyed the benefits of utilizing simulators as a supplemental training tool during my days at New York City Transit. The simulators helped us produce outstanding results by targeting specific outcomes. If your simulator training is not producing what you expected it to deliver, the answer is plain and simple: something is wrong! You should be experiencing a reduction in both your targeted type of collision and your new bus operator candidate washout rate, NOT a reduction in the amount of training days. This is not what you sign up for when you decide to administer this type of supplemental training for your bus operators. Never eliminate needed basic skill development training from the bus, however, a simple modification and repackaging of what you already have in place, can be a positive measure. 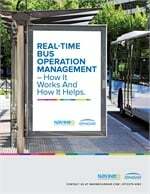 Each agency has its own unique issues and their individual training applications must be respected and shaped to accept the integration of a bus simulator. Knowing what type of simulator application to give during training and when to give it — and also how much to give — are key elements that only an experienced transit simulator instructor with proven results can provide. Both the new hire candidate and the seasoned veteran must be handled differently in the type of training they receive. This individualized tailoring of the training is necessary to achieve the results you are seeking. There are also ways in which you can hinder the chances of getting the results you were expecting when you received delivery of your new training tool. This is usually the case when training agencies fail to establish the chain of accountability within the department, or when the wrong individual is selected to lead the simulator training effort. This is where a mutually respectable relationship between the training staff and the provider of training services pays dividends. Trust, integrity, knowledge and results are all key ingredients that the provider of training services should claim ownership to. Being made aware of unsafe acts by on-board observation tools is the first step but not the only step in realizing the need to be proactive rather than reacting to a situation after the damage has occurred. Identification by the use of on-board observation tools, Retraining by supplementing with simulation training — for repeated “fix it” applications in the low risk environment of the simulator until mastery has been accomplished — and On–Board Monitoring to confirm results, completes the trifecta of collision reduction. Does your simulator training need a jolt? Are you still on the fence about the thought of introducing this type of supplemental training to your agency? If so, I’d be happy to share best practices with you to ensure that your agency gets the greatest possible benefit from the use of this technology.